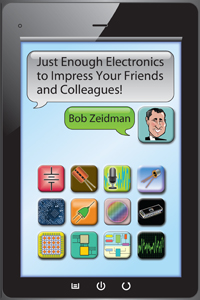 Zeidman Consulting - Books by Bob Zeidman. Science of software forensics, software and hardware design, expert witness in litigation involving patents, copyrights, and trade secrets. 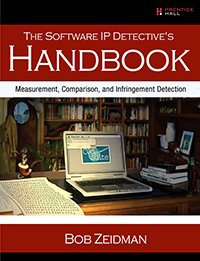 Pioneering expert Bob Zeidman–creator of CodeSuite®, the world’s #1 software IP analysis tool–thoroughly covers all technical and legal aspects of IP theft detection. Using his rigorous framework and practical examples, you can accurately determine whether software copying, theft, or infringement has occurred, and fully support your findings in any venue. Hardware Description Languages (HDLs) use statements, like programming language statements, in order to define, simulate, synthesize, and layout hardware. One of the main HDLs is Verilog, a widely used and standardized language. Verilog can be used to design anything from the most complex ASIC to the least complex PAL. As ASICs and FPGAs become more complex, HDLs become a necessity for their design. This course teaches how to use Verilog to design and simulate hardware. It begins by explaining the benefits of HDLs over other design entry methods, including its ability to model different levels of abstraction, its reusability, and documentability. Next, the syntax of the Verilog language is explained in detail. By the end of the course, you will be able to design and simulate real hardware using Verilog. 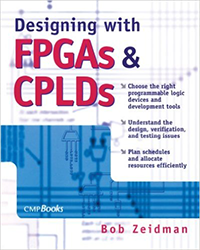 Choose the right programmable logic devices with this guide to the technologies and internal architectures of Field Programmable Gate Arrays (FPGAs) and Complex Programmable Logic Devices (CPLDs). Engineers will learn about important design, verification, synthesis, and testing issues as well as the different Electronic Design Automation (EDA) tools available. Engineering managers can use the step-by-step Universal Design Methodology™ (UDM) to optimally allocate resources and manpower and to accurately schedule and budget the development process. The result is a working, reliable chip. This book won the Jolt Reader's Choice Award from Software Development magazine. Why start coding from scratch when you can work from this library of pre-tested routines, created by an HDL expert? 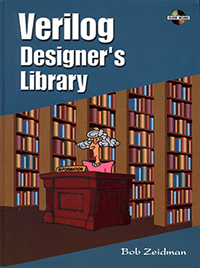 There are plenty of introductory texts to describe the basics of Verilog, but Verilog Designer's Library is the only book that offers real, reusable routines that you can put to work right away. Verilog Designer's Library organizes Verilog routines according to functionality, making it easy to locate the material you need. Each function is described by a behavioral model to use for simulation, followed by the RTL code you'll use to synthesize the gate-level implementation. Extensive test code is included for each function, to assist you with your own verification efforts. Although Verilog Designer's Library assumes a basic familiarity with Verilog structure and syntax, it does not require a background in programming. 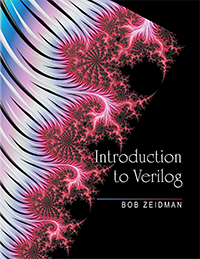 Beginners can work through the book in sequence to develop their skills, while experienced Verilog users can go directly to the routines they need. Hardware designers, systems analysts, VARs, OEMs, software developers, and system integrators will find it an ideal sourcebook on all aspects of Verilog development. The CD-ROM includes all of the Verilog code from the book.